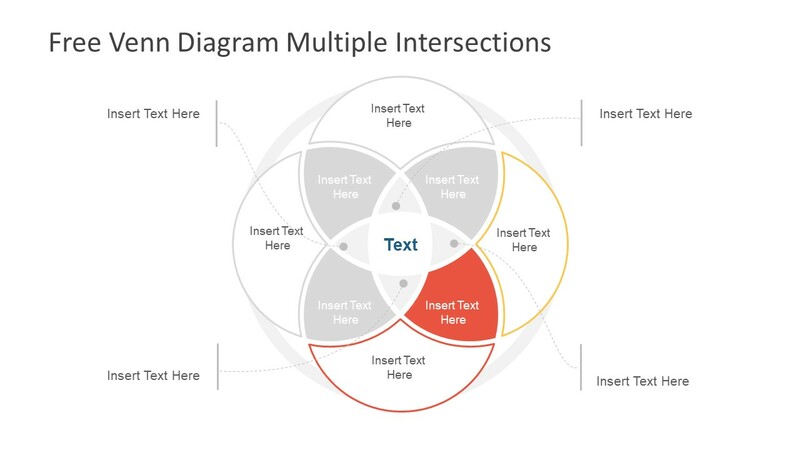 The Free Venn Diagram Multiple Intersections is a template design of overlapping circular shapes. 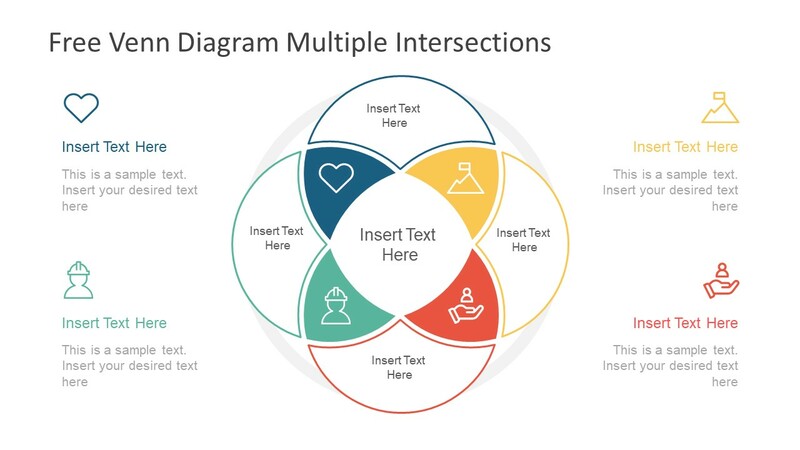 This diagram of circular icons will help demonstrate relationships or interconnected ideas or concepts. 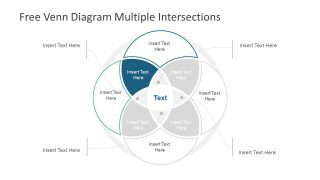 Therefore, it is perfect for illustrating inter-dependent processes or activities within one project. Or, describe an overlapping relationship between 4 elements. 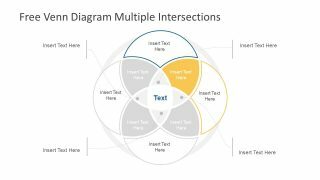 The free diagram template of Venn diagram is multi-purpose PowerPoint and could be used for a wide range of presentations. For example, to illustrate a correlation between four groups of data, stages, tasks, or events. The free Venn Venn Diagram Multiple Intersections presents colorful infographic designs along with editable shapes and text placeholders. In this template of Venn diagram, the flat vector shapes depict flower petals to decorate a presentation. Such decorations will attract an audience by engaging them in attractive shapes and icons. It will further assist presenters to effectively deliver complex ideas and models. 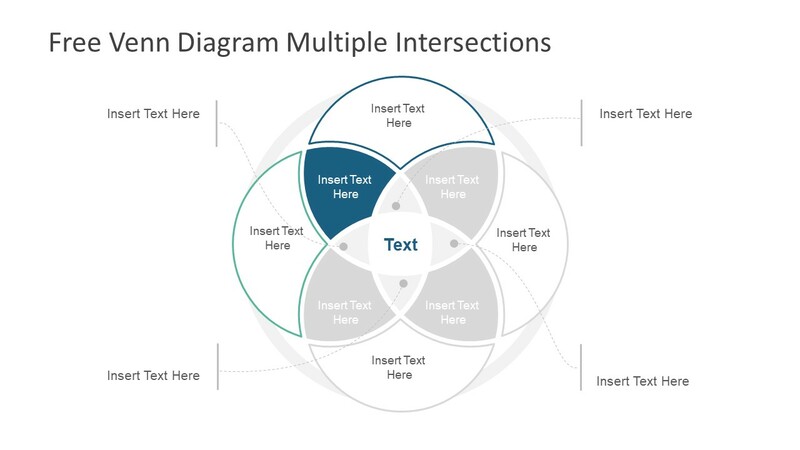 Because infographic are metaphors which will represent four interconnecting terms in diagram. 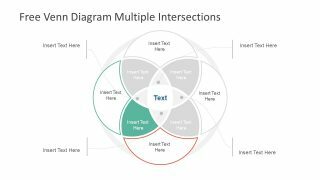 Although Venn diagrams basically display intersection of mathematical data for statistical analysis. 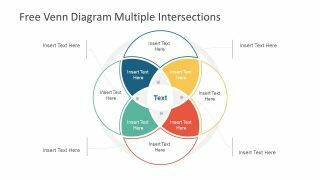 This diagram PowerPoint can aid in demonstrating logical reasoning, technology, social trends, and much more. 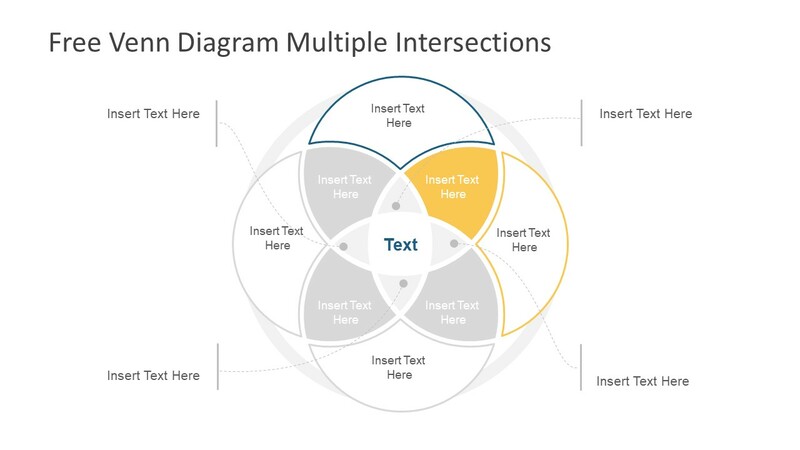 The template of Venn diagram PowerPoint has 6 slides, out of which, two are overview while rest highlight individual segments. First slide displays curve lines around four overlapping segments to label titles. 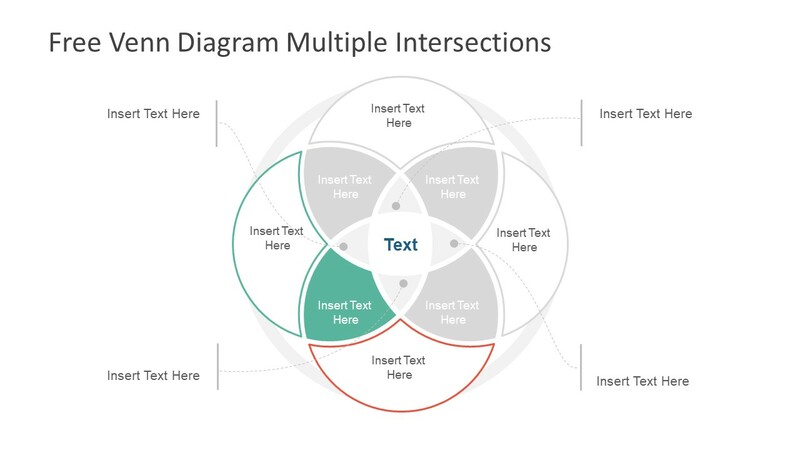 Whereas, second slide include infographic icons beside label sections as an additional visual aid. These infographics include heart shape, flag on mountain top, user on palm, and worker. These icons could be used in many ways but users can replace them with relevant shapes and graphics. 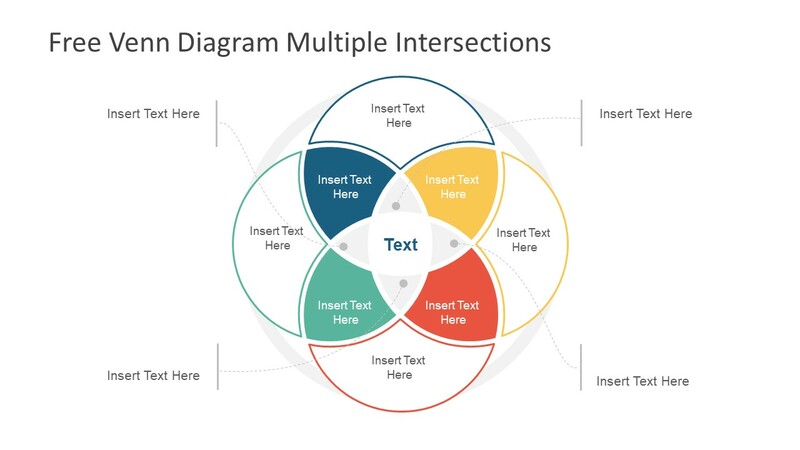 Furthermore, editable features of PowerPoint enable users to change colors, modify independent shapes or copy/paste objects in other presentations.